Just a little over a one hour drive north of Houston lies sprawling Lake Livingston. A huge lake, 85,000 acres, r built about 30 years ago for flood control on the Trinity River Livingston has gone through many cycles of boom and bust both for the local economy and for fishing. In itâ€™s first few years the lake was a great bass fishing lake. 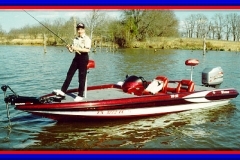 I lived on the lake during that period and remember many still days on the water when the thrashing of bass blowing up on shad echoed in nearly every cove and creek often throughout the day. What great fishing it was to chase the sound of the schooling fish through the trees in â€œThe Jungleâ€ then to come upon a small opening and see the water still rippling from the last bass that broke the surface and then to cast a top water lure out and before it even makes the surface a hungry schoolie crashes the surface to beat his buddies to my descending plug. 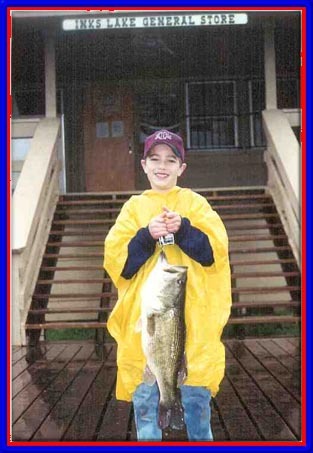 The good old days of that kind of bass fishing have been gone for a long time on Lake Livingston. 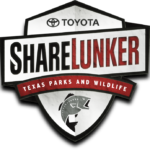 Since the eradication of aquatic vegetation in the lake, bass fishing has steadily declined, until very recently when Texas Parks and Wildlife Department has taken an interest in restoring the bass population. 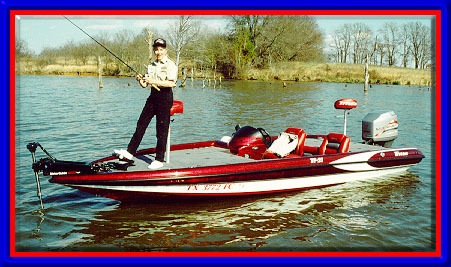 Texas Black Bass Unlimited, T.B.B.U.,. 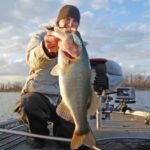 a conservation group, has raised funds to do a study on the lake for the restoration of bass habitat. With continued efforts of concerned citizens like those involved in T.B.B.U. 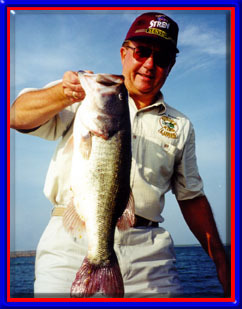 and the renewed interest of the Texas Parks & Wildlife Department bass fishing on the lake will soon rival itâ€™s glory days. 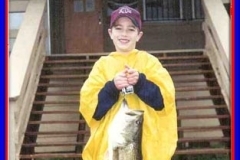 White Bass, Stripped Bass and Catfishing are most popular on the lake now. 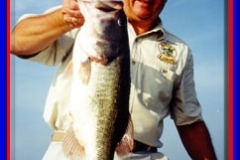 Lake Livingston State Park offers an excellent way for the general public to affordably enjoy some of the fishing joys this great old reservoir has to offer. 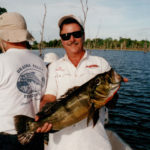 From the lighted fishing pier or 2 1/2 mile of shoreline you can try your luck at catfish, bass, bream, crappie and perhaps an occasional white bass. 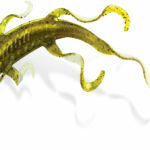 Minnows would be very productive for this style of fishing as they would have the broadest range of appeal to the various species that might prowl the shoreline. Bait is available in the park at certain times of year and at many local bait camps in the area. The park employees are very helpful in providing information on the best bait, times of day and location of bait and tackle stores. If you bring your boat there are ramps in the park. Your first and main priority before launching is to watch the local weather forecast. Livingston, although very safe for the cautious boater, can be extremely dangerous for the careless ones. The water can go from dead calm to deadly 8 foot waves in minutes when one of our frequent spring and summer thunderstorms blows over the lake. Small boats, in particular, should stay close to shore and keep a wary eye on the horizon. Offshore, however, lies the hottest white bass fishing in this part of the State. When the fish are schooling birds can bee seen diving on the shad the whites are running up to the surface. These diving birds are the signal, to the knowledgeable fisherman, that hot fishing action lies below the diving birds. When the schooling activity calms down itâ€™s time to put a depth finder to work. Throughout the south end of the lake and generally out in front of the State Park lie several submerged hilltops and old river channel sand bars that are the favorite feeding areas, in the summertime, for whites. Locate the ones that top out in the 20â€™ – 25â€™ range and cruise them looking for signs of any signals on your depth finder that are between the bottom and the surface. 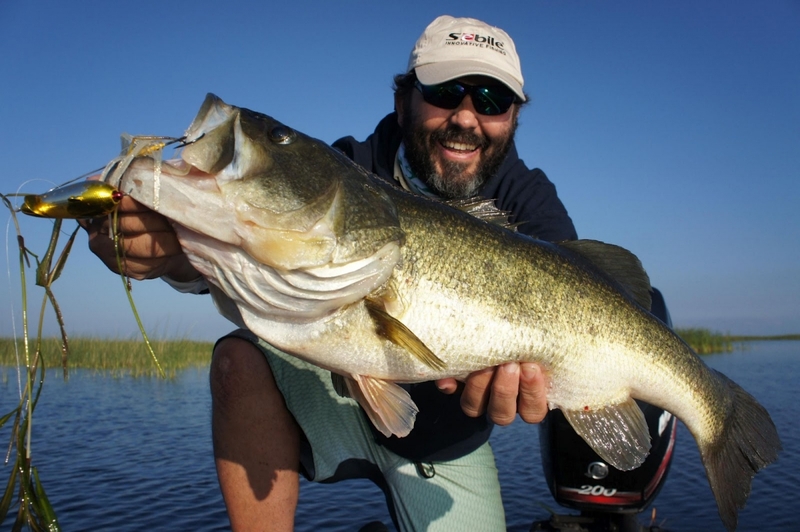 Whether itâ€™s bait or Whites and Stripers, chances are, youâ€™ll get bit when dragging a spoon across the bottom, trolling a deep diving crankbait through them or still fishing a minnow. White Bass and Striper fishing can be very exciting. They both tend to travel and feed in large schools and are ,pound for pound, the fiercest fighting fish when hooked in the lake. Bank fishing for catfish, bass, bream and crappie can be very enjoyable as well. You might improve your success by stopping at the local fed store on your way to the lake and picking up a bag of â€œRange Cubesâ€. This cattle food is not expensive and when broadcast occasionally over the water your fishing will draw bait fish. Usually the predators youâ€™re looking for arenâ€™t far behind. Enjoy.